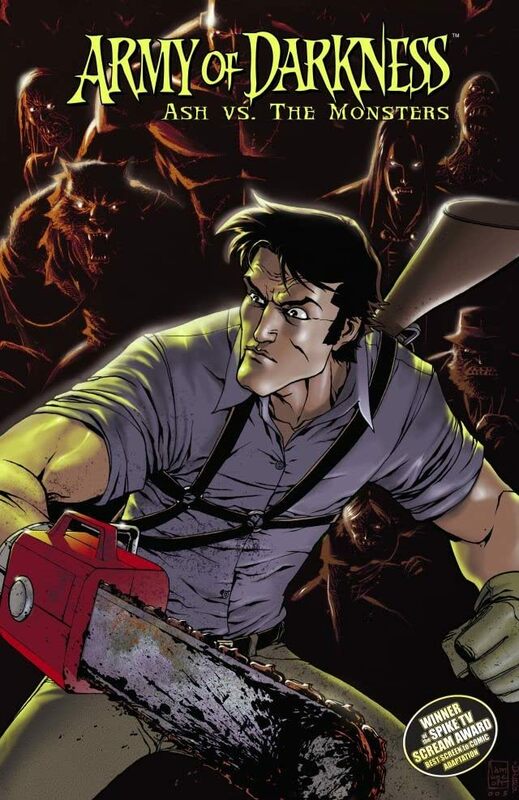 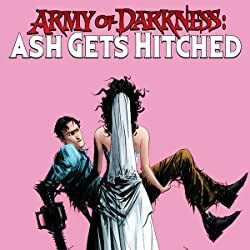 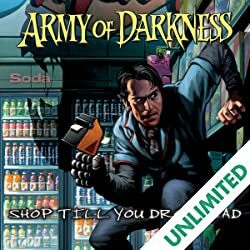 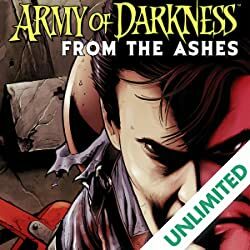 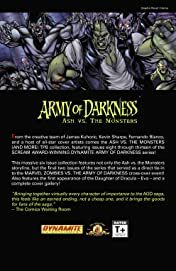 This massive Six issue collection features not only the Ash vs. the Monsters storyline, but the two issues that lead into the cross-over event of the year -- ARMY OF DARKNESS VS. 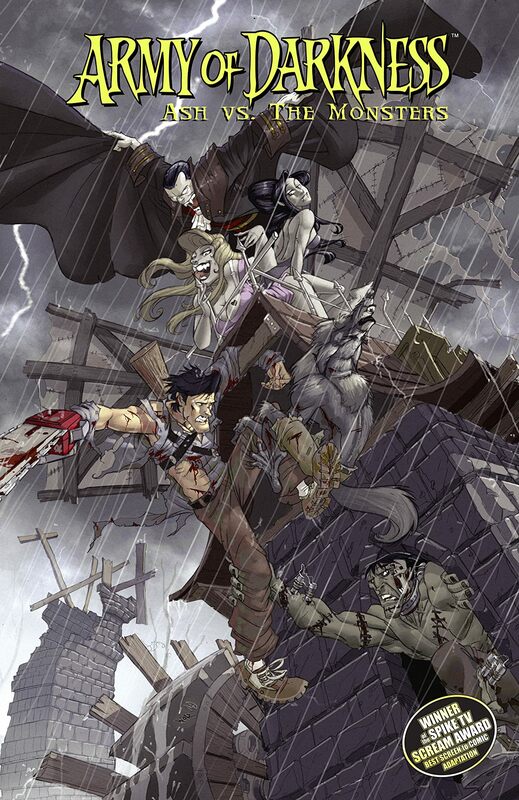 THE MARVEL ZOMBIES! 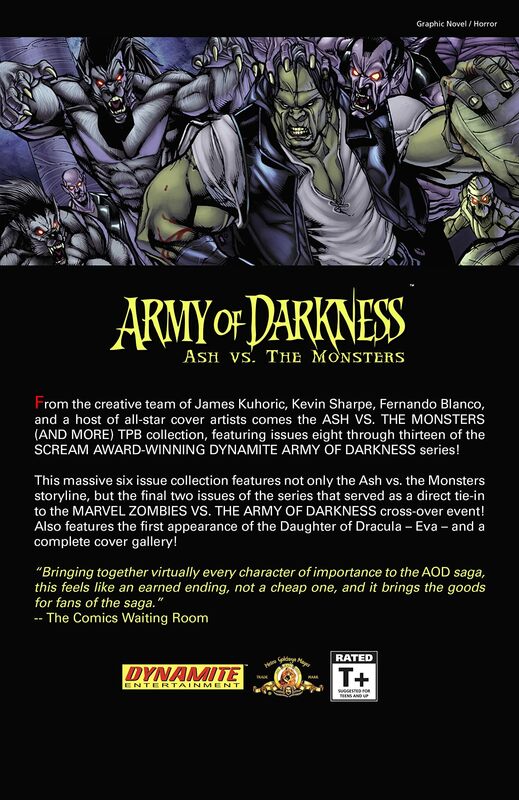 From the creative team of writer James Kuhoric and artists Kevin Sharpe and Fernando Blanco, the ASH VS. THE MONSTERS (AND MORE) collects issues 8-13 of the DYNAMITE series! 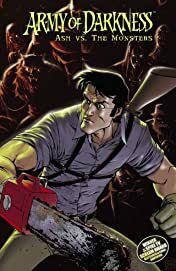 Issue 8-11 comprise the "Monsters" storyline -- which pits Ash vs. Dracula and introduces the vampires daughter, Eva, while issues 12 and 13 present Ash's final conflict with the Deadites and the Necronomicon! 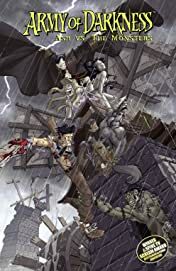 Also includes a complete cover gallery!